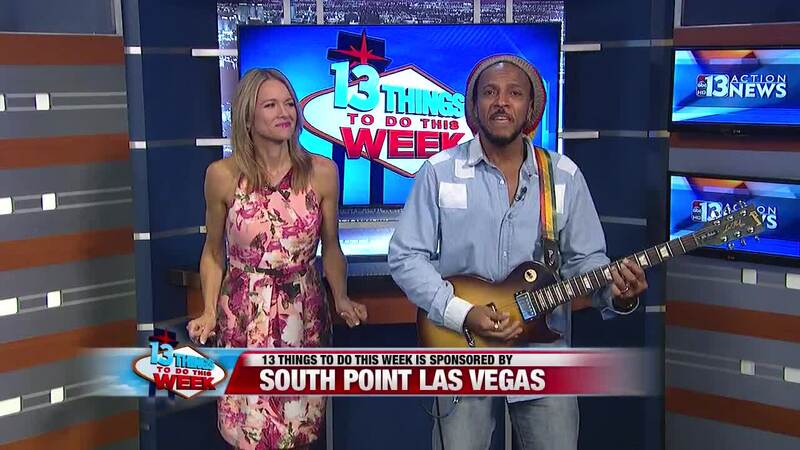 Info on new comedy show, VGK paint party, free show by Eddie Money and Jefferson Starship, Vince Neil and his shrunken head, Jazzy Ash &amp; The Leaping Lizards, and more. 1. Experience 7 hilarious comics in 70 minutes at The Hilarious 7 comedy show at Hooters Casino Hotel. Hosted by Las Vegas veteran comedian John Hilder. 2. The Cadillac Three will be rocking Stoney's Rockin' Country on July 20. The band is on tour to promote its new album "Legacy." They are in town for one night only. 3. It's Vintage Bike Night at ReBar on July 20. There will be vintage bikes, art and music. Check out the newly-opened Nevada Taste Site next door. 4. Pinot's Palette is offering Vegas Golden Knights fans a chance to hang out, paint and support the Golden Knights Foundation on July 21. Pinot's Palette is located at Town Square. 5. 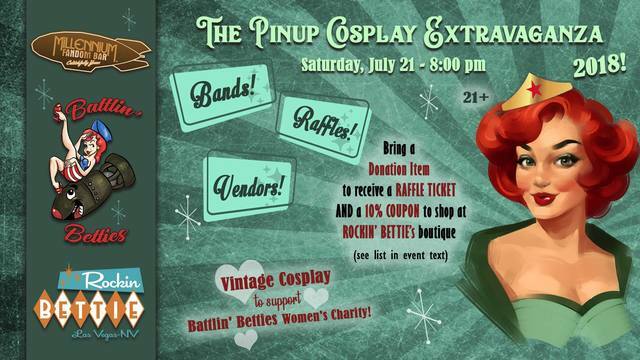 The 2018 Pinup Cosplay Extravaganza is happening July 21 at Millennium Fandom Bar. There will be bands, vendors and raffles. 6. Singer Eddie Money and Jefferson Starship perform in a free show July 21 at the Fremont Street Experience. 7. "Legends in Concert" at Flamingo Las Vegas features performers from the past and present, including Michael Jackson, Tina Turner, Elvis Presley, Johnny Cash, Jon Bon Jovi and Bob Marley. 8. Double Down will host a musical jamboree featuring Water Landing, Phillsy Philz & His Mon, The Psyatics and The All-Togethers on July 21. 9. Singer and rocker Vince Neil performs at The Cannery on July 21. His shrunken head will be unveiled at Golden Tiki on July 25. 11. Jazzy Ash & The Leaping Lizards perform July 25 at Charleston Heights Arts Center. Learn about culture of New Orleans through storytelling and song. 12. Head to Backstage Bar & Billiards every Wednesday for horror movies, $1 PBR, free pool, spooky drink specials, DJ Big Daddy Carlos and more. 13. The Las Vegas 51s and Nashville Sounds play July 24-26 at Cashman Field. July 26 is $1 Budweiser Beer Night. If you would like to submit an event, send a press release to joyce.lupiani@ktnv.com.